Hi Friends! 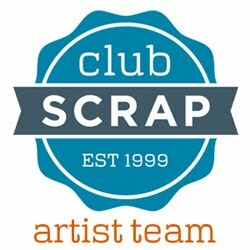 It's that time again - Club Scrap Blog Hop time! You should have just come from Hetty's blog. 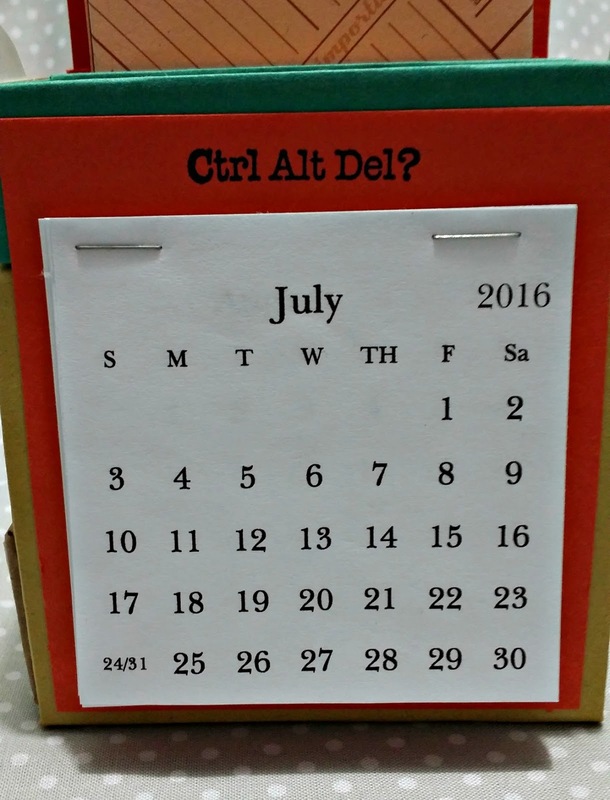 The kit for July is called Office Space and couldn't be better timed for me! I just got a new position at my job and will be doing HR. 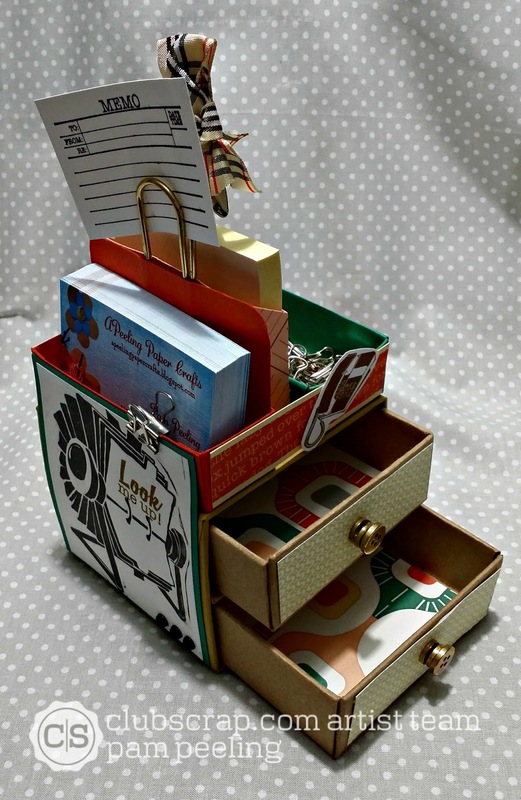 So excited to use this kit for little Thank Yous and morale boosters for our staff! 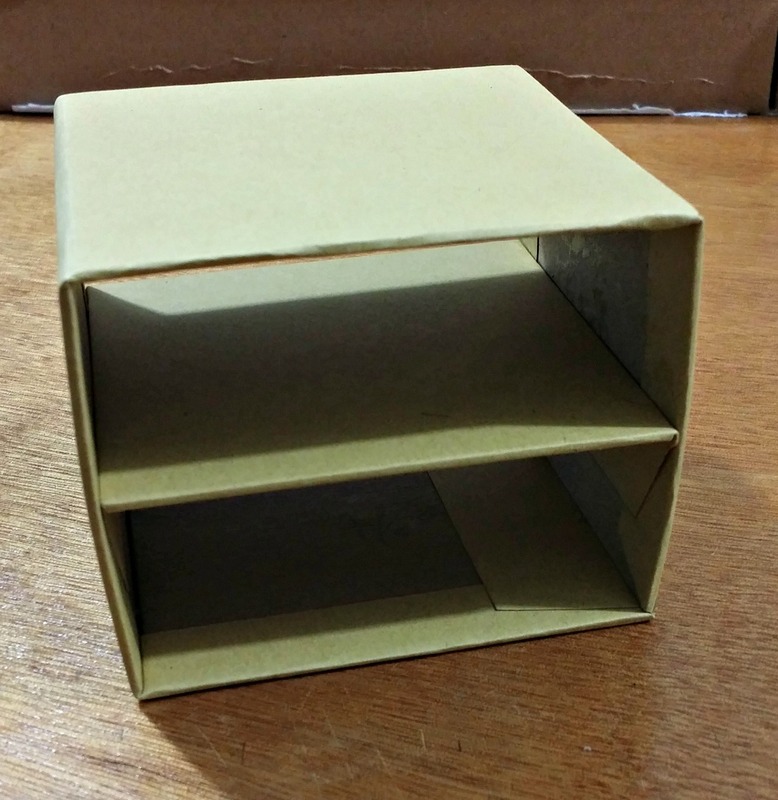 For the Blog Hop I decided to make a little desk organizer! Perfect for this kit!!! 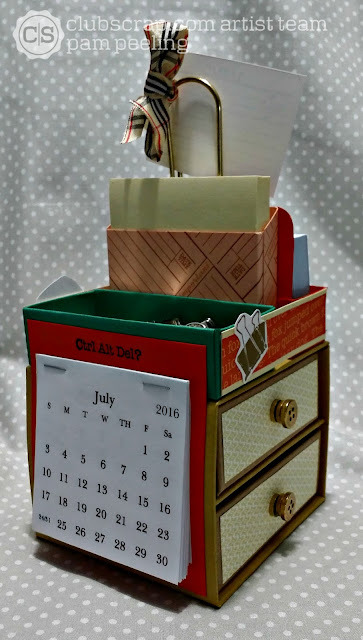 I've seen a million different ones out there and decided to design my own with all the little things I wanted-Business card holder, yearly calendar, posit it holder, memo holder, and drawers for supplies. 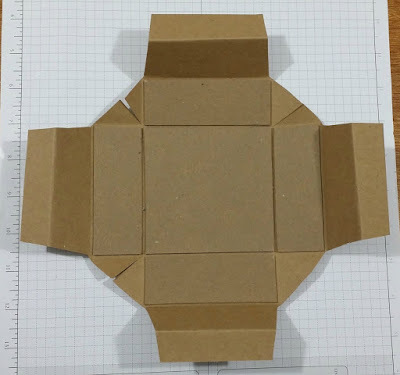 Top, bottom and center: cut 3 @ 3 3/4 " x 3 3/4"
Sides: cut 2 @ 3 3/4" x 3"
Drawer bottom: cut 2 @ 3 1/2" x 3 1/2"
Drawer sides: cut 8 @ 3 1/2" x 1 1/4"
Glue them end to end in a long strip. 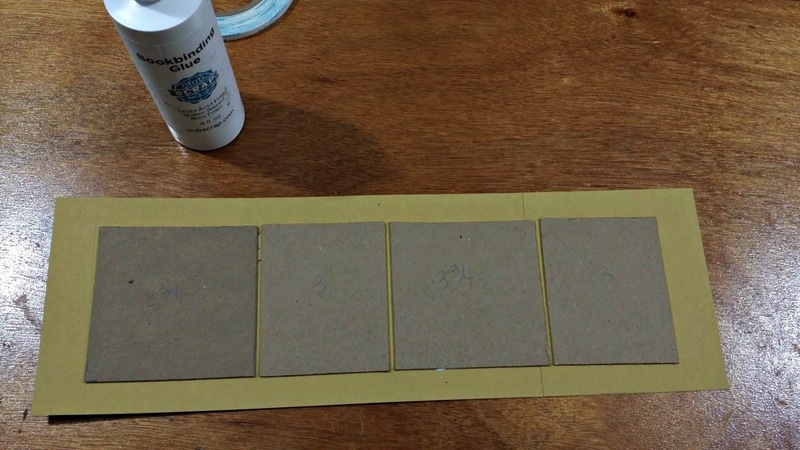 Adhere the chipboard pieces with bookbinding glue in this order: 3 3/4" wide, 3", 3 3/4" and 3". Leave about 3/4" border all the way around. 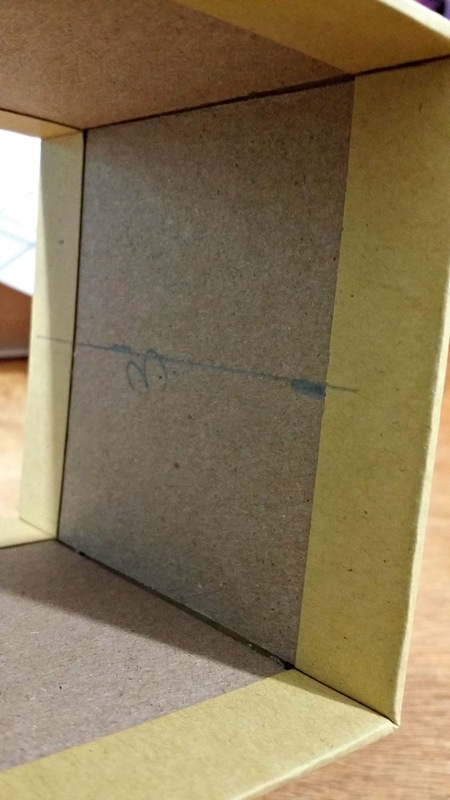 Make sure to leave at least 1/8" between the chipboard pieces. 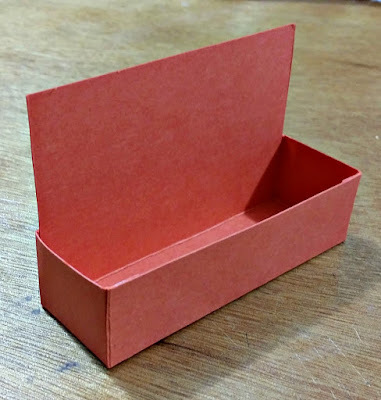 Cut the corners, put bookbinding glue on the 2 long sides and fold the cardstock over the edge covering the chipboard. 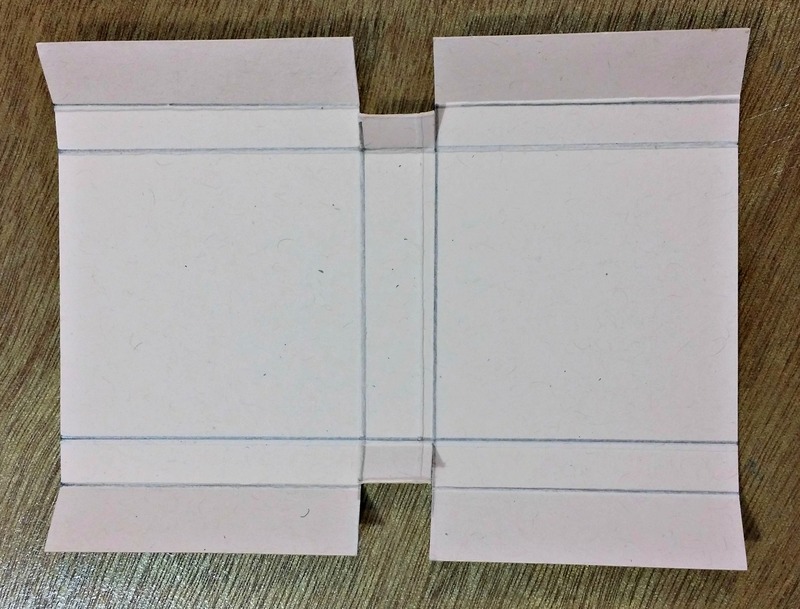 "Roll" the strip up into a square and adhere the end flaps with bookbinding glue-one to the inside and one to the outside. 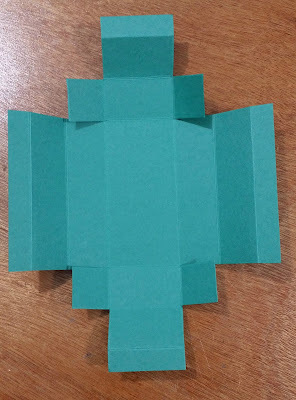 Cut a piece of cardstock 5 1/4" x 6." Adhere the last 3 3/4" piece of chipboard in the middle. Cut the corners, add glue to 2 opposite sides and fold over to cover as shown. 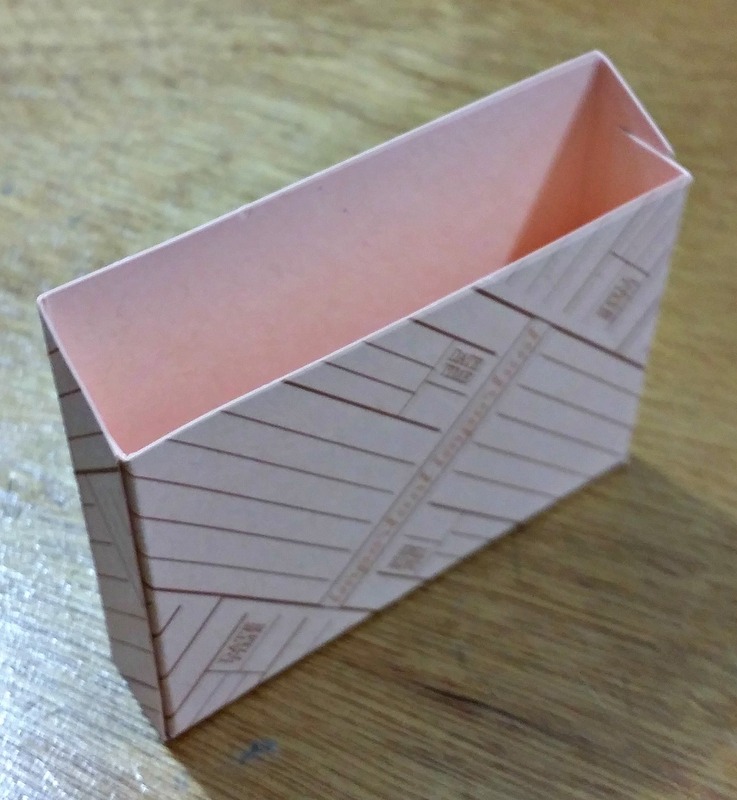 Add bookbinding glue to the flaps, set the shelf in - lining them up with the lines and glue the flaps in place. Now for the drawers! Cut 2 pieces of cardstock 10 3/8" x 10 3/8". 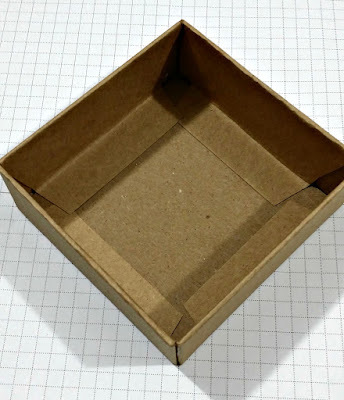 Gather the pieces of chipboard for one of the drawers. This next part is a bit complicated to explain so bare with me! 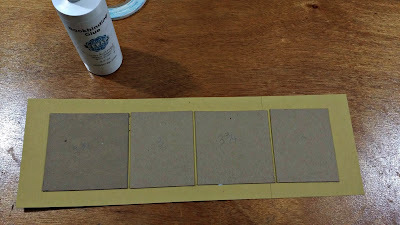 Before I placed the chipboard pieces on I scored the cardstock all the way around at 1/2" and then again at 1 1/4". This just helped me place my chipboard in the right places. 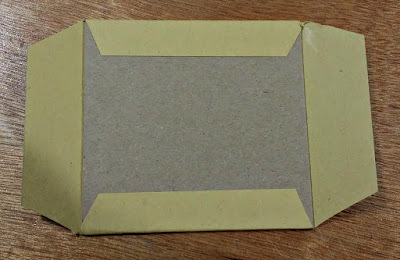 Adhere the pieces of chipboard like so on the cardstock. (Sorry about the kraft on kraft color-didn't think that out for the photos :/ ) Then cut away the corners like above. I know I looks weird but I wanted the drawer to be sturdy so I wrapped the cardstock completely around the sides and have 1/2" attached to the bottom of the inside of the drawer. 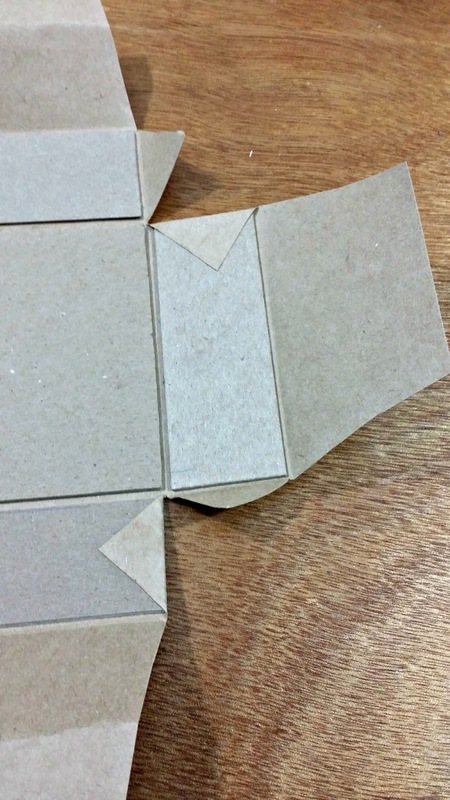 Adhere 1 of the little corner tabs to the side chipboard piece at each corner-all the way around. Put bookbinding glue on the end flap. Fold up the side chipboard piece and wrap the flap of cardstock over the side adhering the cardstock to the chipboard-tuck the other little corner flap under this flap. Adhere the 1/2" part flat on the bottom of the drawer. Do this for all 4 sides. I stacked 3 buttons together with glue dots for a drawer pull. Matted the front and the inside bottom with coordinating cardstock. On the top of the organizer I have a business card holder, post it note holder, another box to store miscellaneous supplies and a giant paperclip to hold memos or little notes. 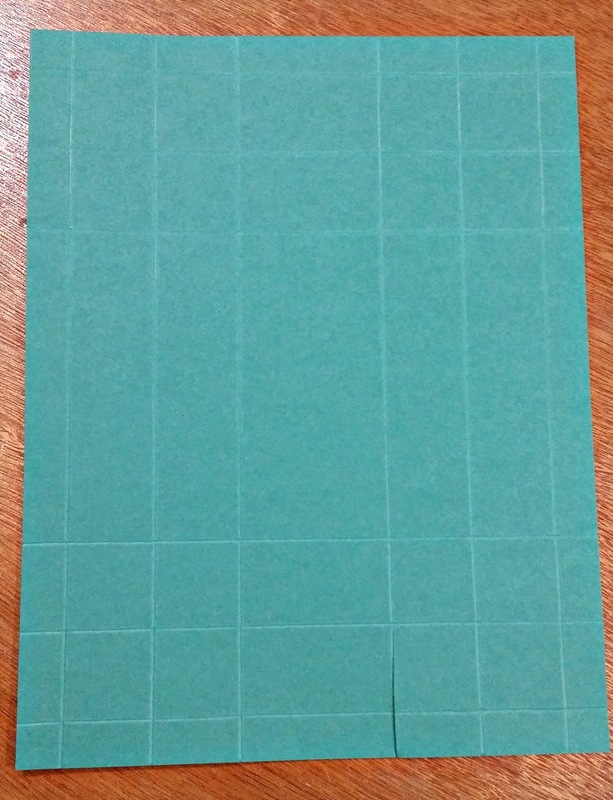 Cut a piece of cardstock 5 3/4" x 4 3/4." Score on the long side at 1" and 4 3/4." Score on the short side 2 1/2" and 3 3/4." Cut off on the score lines as shown. Snip on the score lines and fold on all score lines. Place score tape as shown. 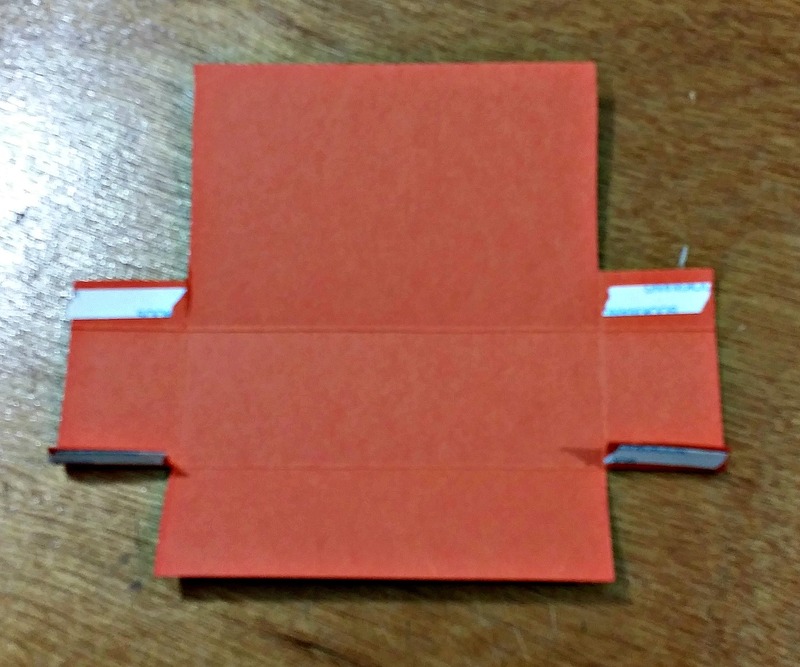 Fold up and adhere the flaps on the inside. Cut a piece of cardstock 5 1/4" x 4 1/2." Score on the short side 1 5/8" and 3 7/8." Score on the long side 2 1/2" and 3 1/8." I've drawn th score lines in so you can see them better. Cut and snip where shown. 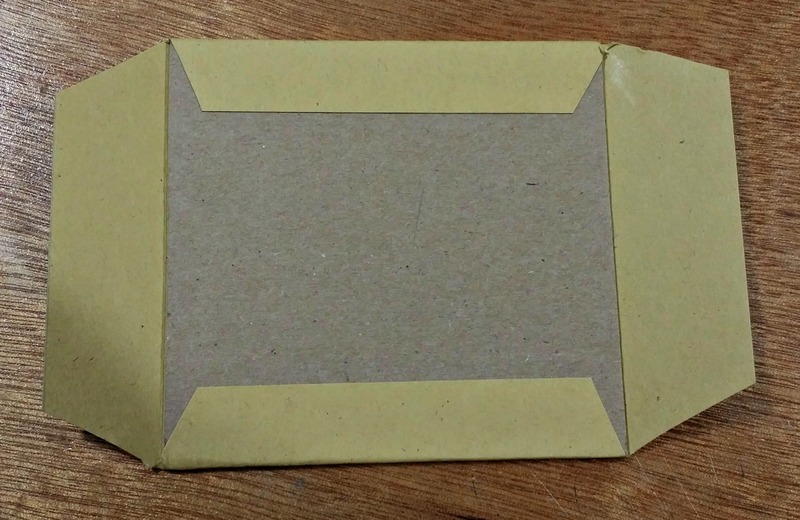 Fold up on score lines and adhere the sides with Scor-tape. I cut the top edges at a diagonal to make it look neater. 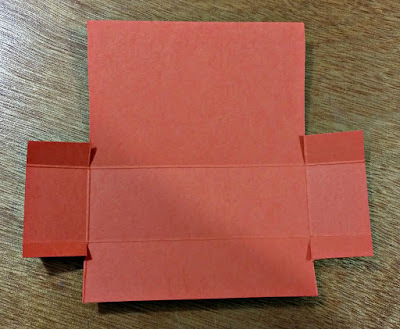 The front part is a little shorter than the back so you can see the post-it notes in there. 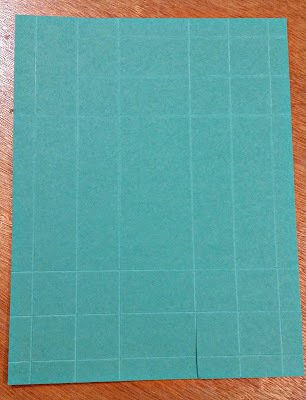 Cut a piece of cardstock 6 3/4" x 8 3/4." Score all the way around at 1/2", 1 1/2" and 2 1/2." It should look like this when all scored. Fold on all score lines, cut as shown and snip on score lines shown. Put score tape as shown. Fold the long sides over the little tabs on the short side. 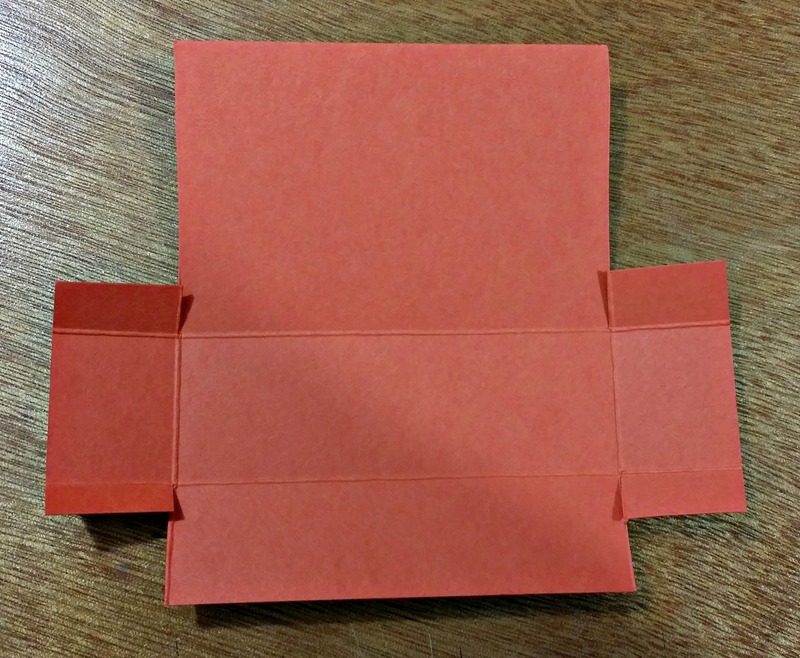 Fold up the sides and adhere the long sides to the bottom forming the box. Then I just glued them altogether on top of the box of drawers. I used some glue dots to glue the giant paperclip in between the post-it holder and the business card holder. I made a calendar on my computer and just stapled all the months together. 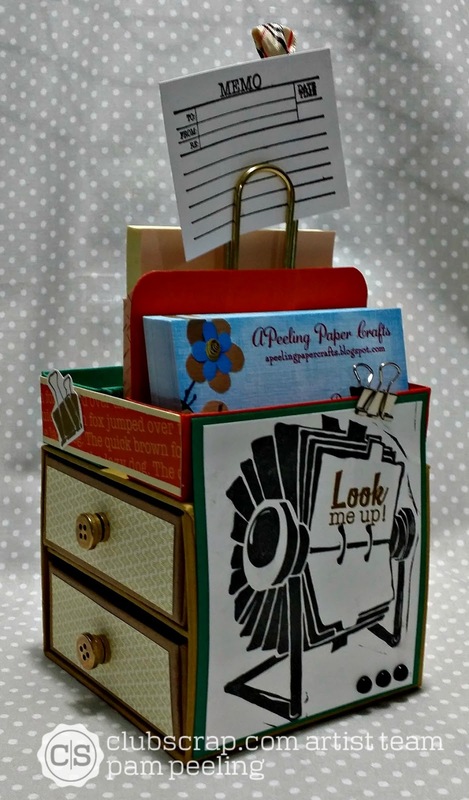 Next in line on the Blog Hop is Tricia! 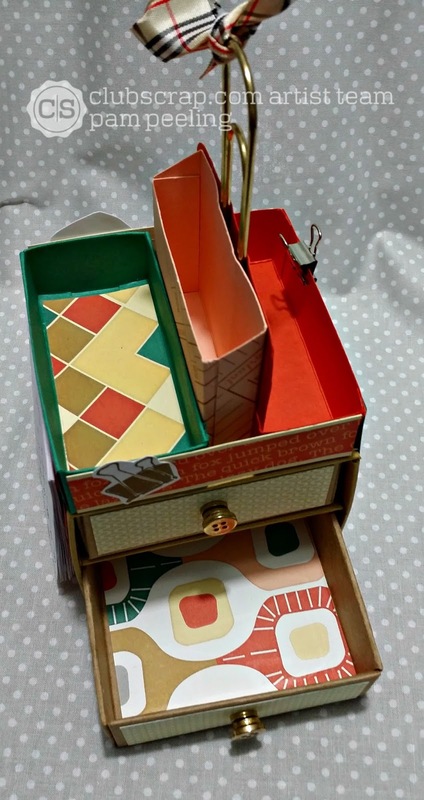 Check what she's done with this fun kit! 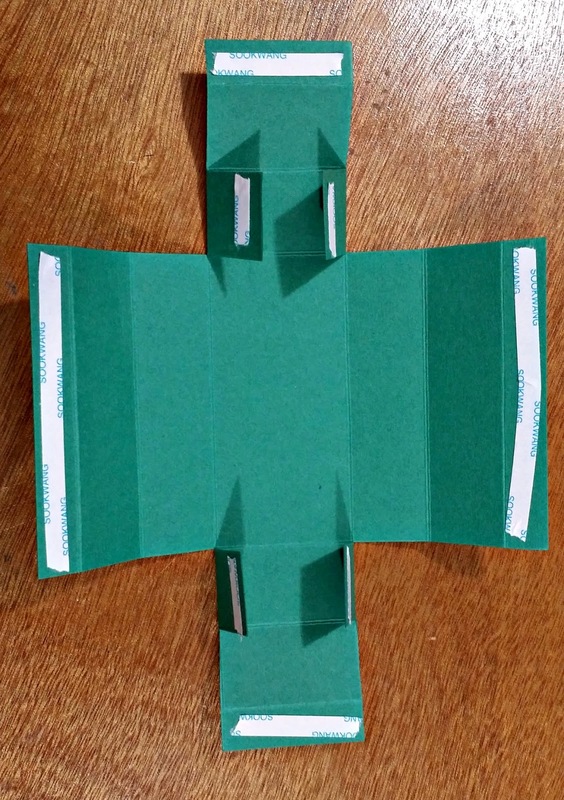 Wow, this is a super project, Pam and with all the instructions, thanks! This is so cool Pam. I love it. Thinking I need to make one for my desk! Pam this is just wonderful. 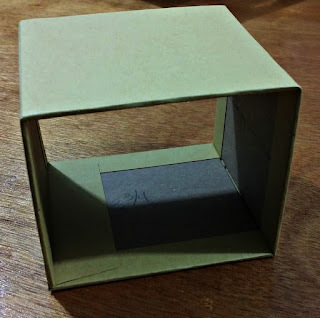 Thank you for the instructions for such a delightful project. Oh. My. Heavens. First, congrats on your new job. That's awesome. 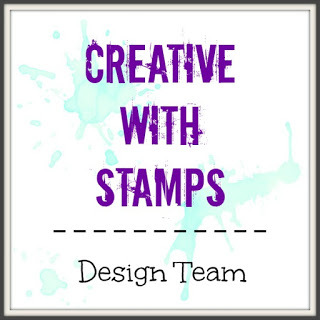 Secondly, I am in love with that project! Thanks for the detailed assembly instructions/tutorial! Pam you are a gal after my own heart!! Love how your project all comes together!! Thanks for the awesome instructions. FANTASTIC!!! That is soooo stinking cute! Nice job! I could use one for my desk right now, as it looks like its been raining paperclips in there!! Wow! Breathtaking! Thank you for the wonderful instructions. Congrats on the new job. Very cool, love how you added the calendar to the side, lots of fun details! This project is truly the awesomest!!! WOW! Love it! I had to come back and look at it again....it's still really awesome! Now I gotta find time to make something like this too!!! Thanks again for the awesome inspiration! Really cute idea. Thanks for the details on how you made it. Clever, clever, clever! Great idea and awesome tutorial, too. TFS! What a cute ideal. Who couldn't use this on any desk or by the phone. Thanks for step by step. Wow Pam. This is awesome! What a great project and step by step. Very useful and creative! Thanks for the directions too! Wow! Nice desk organizer! Very creative! Super, super project. So appreciate any project that helps me to better organize! I NEED one of these for my operatory at work! How cool is this! I'd have to keep prying little fingers off of it though. Really neat project! So much detail here! Thanks for the seriously in-depth tutorial!